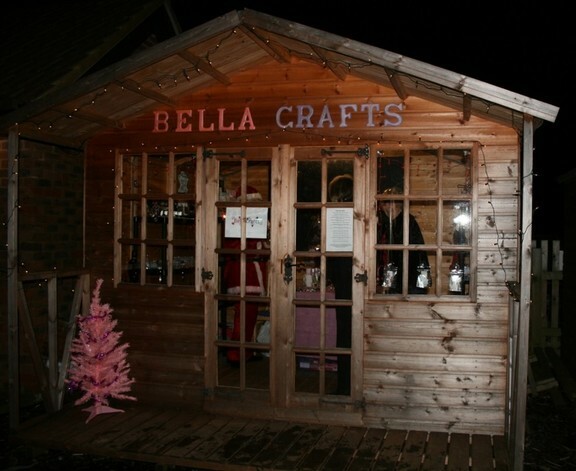 BellaCrafts was established by Belinda Poore and actually started as just a small selection of handmade items such as cards, candles and jewellery being sold at her previous full time job! 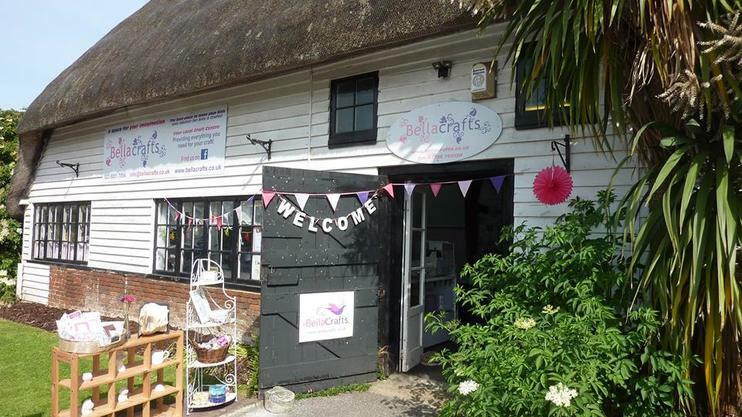 From there, our first premise opened as a small shed but we quickly grew to provide a relaxed, friendly Craft Centre full of beautiful beads and creative crafts. We opened our current location at Fair Oak Garden Centre in 2009 and offer space that can be used by adults and children to allow their imaginations to flow. 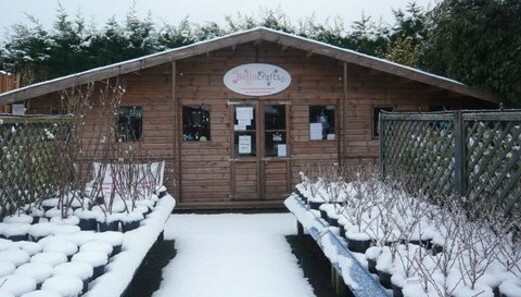 We now run an established, unique Craft Centre offering not only a lovely shopping experience for all your craft materials but also a chance to take a seat and craft or leave the children to be entertained whilst you relax in the nearby tea rooms.We are renowned for providing a super setting for children and adults, groups, individuals, community and businesses. We run workshops for adults and children every day and just love to see new faces, those travelling from afar and our regulars. No two days are the same! We can also travel to your place of work or home to bring our activities and crafting to you.We offer a different, friendly shopping experience where we will always go that extra mile for our customers. Come and browse, take a seat, craft, relax and enjoy your experience. 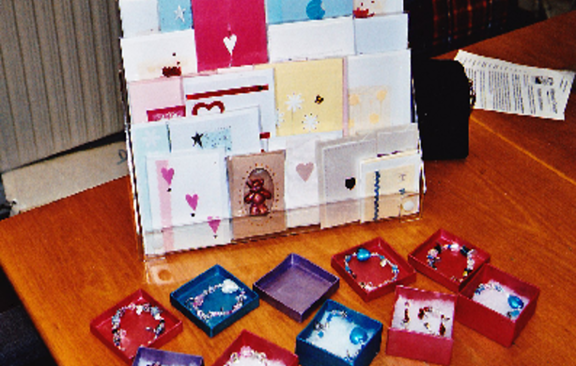 We also offer our crafting activites to businesses and local events. Book us to provide crafting activities, family fun area or organised workshops for your business or event! Our first 'shop' - big enough for 3 customers! Finally a big enough venue to offer workshops! See what are team are up to, new craft goodies, plus all our latest events! We don't share any of your details and send our email no more than once a week. I started the company in 2007 and have loved to see it grow. 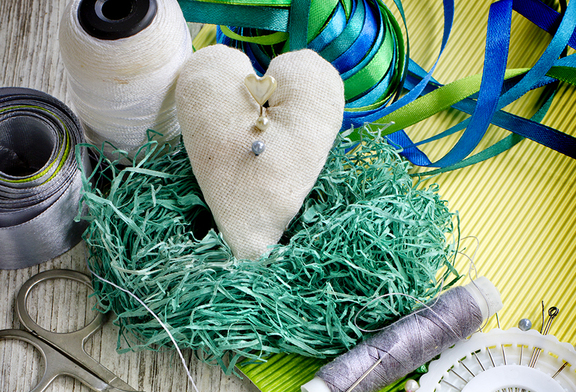 Crafting began as a passion for me and has become my lifestyle. I've always strongly believed in providing a flexible, affordable, fun service for families. 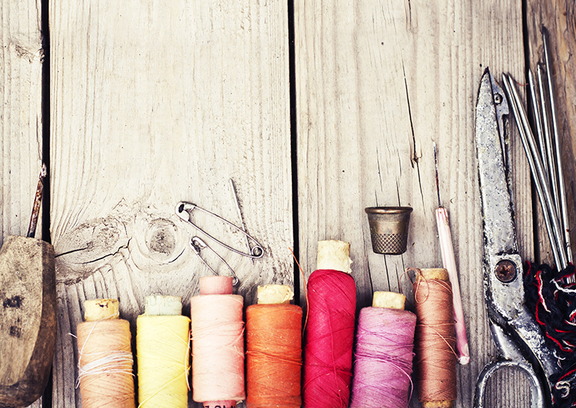 We've enjoyed being a place where anyone can pop in, relax, feel at home and just enjoy crafting. I oversee all aspects of the business and really love implementing new ideas and projects. 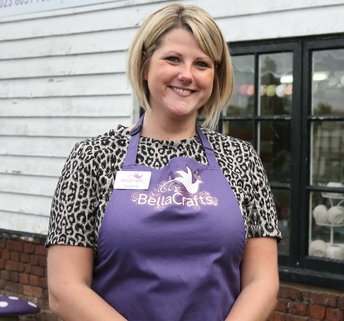 I work closely with other local businesses and my current project is to promote BellaCrafts across the south coast, spreading our message of family fun and crafting through local carehomes, schools, events and county shows. I'm also a board member of the AFCI so I'm in contact with lots of other craft retailers nationally and help to support through annual events such as The One BIG Show. See more info on our AFCI page. My favourite craft is Mixed Media; I've been to workshops up and down the country, really what could be better than an afternoon spent with paint! My favourite day to work is Friday as there is always such a lovely buzz before a weekend of parties, plus we usually have some lovely, local crafters in creating their own projects. Being my big sister, Belinda has always been a massive inspiration to me but seeing her start her own business from nothing was incredible. I remember the days when we would sit in her bedroom at Mum's house bagging sequins, sorting beads and designing cards and jewellery whilst chatting and snacking like all sisters do. 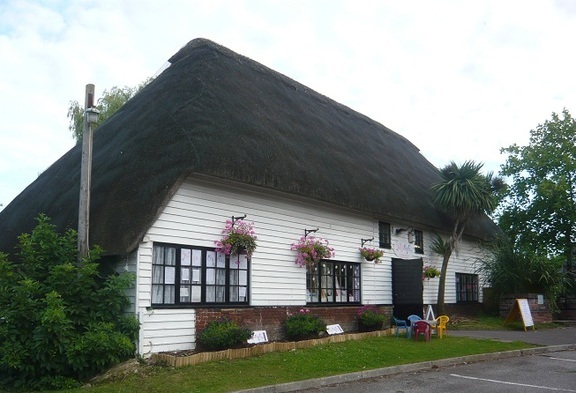 From there I've watched the business grow, a lot, from opening our first shop, employing staff, launching our own website and online shop plus offering activities and events across Hampshire. Throughout school and college Belinda supported me and I would from helping out at weekends and busy times I developed a real passion for the business. Since I came on full time in 2014, I have learnt so much in my role. Everyday is different and I love to plan the activities, workshops, events as well as choosing all the latest products. My main focus is marketing and planning exciting new events... look out for our Craft Swap in February, Bridal Events and Compeitions! 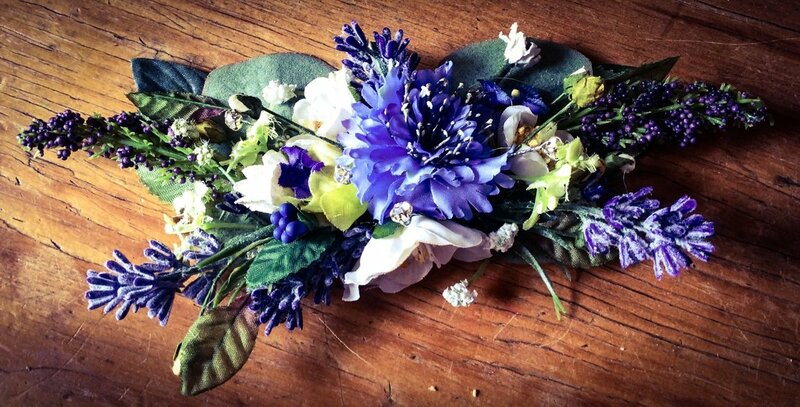 My favourite crafts are jewellery making and sewing, though ask anyone, everything I make ends up purple! 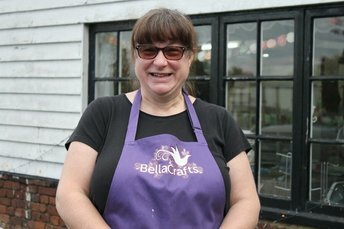 So, I am one of the newest recruits here at Bella Crafts and I have to pinch myself a little bit each time I approach the doors as I still can’t believe I work here! I am in craft heaven! I have always been an enthusiastic crafter and I am a strong believer that there is a craft for everyone. For me, it’s not always about the end result...it’s the creating (and sometimes venting) that makes crafting so unique. It’s a process and an opportunity to try new things and meet new people; creating or transforming something from our imaginations is a thing of pure magic!! To pick a favourite day here is like trying to pick a favourite craft (nope, I just can’t, hehe). Each day is so very different to the next, you never know what will be created and who you will meet and that is what makes Bella Crafts so special! 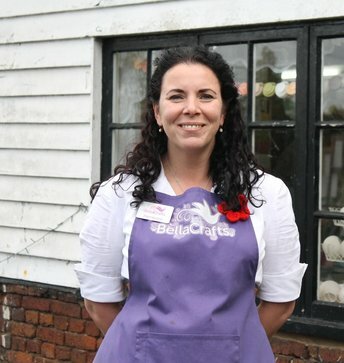 I am BellaCrafts newest recruit! When I first started bringing my daughter who is now almost 7 years old along to BellaDoodles preschool sessions I never thought I'd be lucky enough to end up working here! 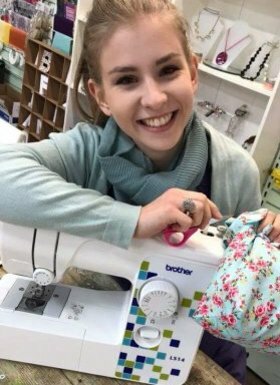 BellaCrafts is one of our favourite places to spend some girly crafting time together and I am now loving working with such a friendly team! I spend most of my days making sure each and every party we host is perfectly planned and prepared and I love seeing all the different themes come to life - no two parties are ever the same. My favourite day of the week has to be a Monday as its always the start of a new BellaDoodles project! It is always so interesting to see how each of the little people who come along to our BellaDooodles sessions can make the same project but in so many different and creative ways! I am really enjoying learning new skills and have been taught many since joining the team in February. Wood etching is definitely one of my favourites so far. 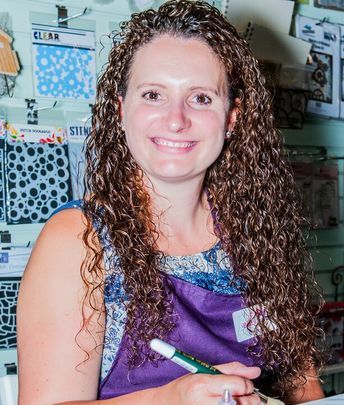 Hi I’m Jane, the newest member of the team, I have been crafting in various forms for as long as I can remember. I love to learn new techniques and crafts and to teach. I knit and crochet, spin and Felt, love all paper crafts, including scrapbooking, journaling and parchment, I’d love to be able to draw but it alludes me, however it doesn’t stop me trying, and I’ll happily splosh paint. Crafting is my happy place and When the opportunity to work here at Bellacrafts came up I jumped at it.